SEJONG -- South Korea's customs authorities said Wednesday its officials raided the headquarters of Korean Air Lines Co. over allegations it violated foreign exchange laws in a widening probe into the chairman's family. The Korea Customs Service said some 40 officials have been dispatched to the main office of the country's flagship carrier in western Seoul over suspicions the company violated the Foreign Exchange Transactions Act. The customs office has been looking into allegations Chairman Cho Yang-ho's family smuggled luxury goods into the country without paying due taxes. 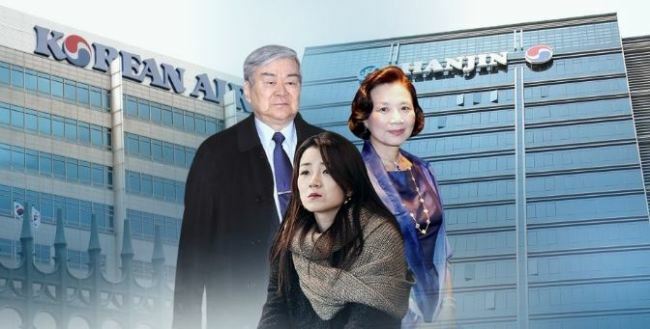 The Cho family is under a series of investigations after the chairman's youngest daughter, Cho Hyun-min, a former executive of Korean Air, has been accused of allegedly assaulting ad agency officials. The KCS' raid is the fourth of its kind conducted on the full-service carrier. In March, Hyun-ah made a comeback as the head of KAL Hotel Network, the operator of the Grand Hyatt Incheon, near Incheon International Airport. Both sisters have since been stripped of their company posts. Meanwhile, the chief of the country's customs office said earlier that Chairman Cho and his only son, Won-tae, president of Korean Air Lines, will be questioned over allegations of smuggling. Earlier, the customs office said Hyun-min, her older sister Hyun-ah and their mother are on the list for questioning. The Korea Customs Service has been investigating allegations that the founding family members have smuggled luxury goods into the country without properly paying duties.